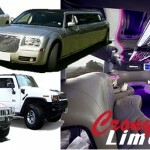 We offer cheap limo services at prices that you can afford to hire for your next event. Crony Limousine represents all of the London city top luxury 3 -5 star hotels as their in-house chauffeur driven and City of London airport transfer car service. No matter which UK airport you are traveling to or from we can provide 6 – 16 passenger Stretch Limos and 1- 4 Saloon/Sedans, 5 – 9 Passenger minivans and exclusive meet-and-greet service to any airport and seaport terminal pickup at extra car park coast. Our reservation and dispatch place of work is actually available day and night, for customers help and support all the time they need this. From our completely different forms limousines, we are able to offer just about any limo service recommendations white, black and pink Hummer Limo, Limousine Bentley Arnage, Limousine Excalibur, Limousine Mercedes Benz, 8 – 12 – 14 – 16- 18 seater Limo Lincoln Navigator, Q6 Audi, Black Excursion Limo. We can handle ground high-class transport for everyone to almost everywhere and you’re able to take satisfaction in the ride in a luxuriousness limousine with trust and safety. You’re guaranteed the prime degree of competence that comes through experience. Limousine hire in London or Croydon Pink, White Hummer limo for weddings civil ceremonies, parties, special occasions, London clubs.